Whether you’re buying or selling a home in the Greater Memphis Area, Oak Grove Realty focuses on getting you where you want to be: Home. Interested in buying or selling a home? We can help! Get advice and guidance now from our resident expert, Mary Brown. Oak Grove Realty is a truly hands-on agency, owned by Karen Garner and her son Reggie Garner, Jr. 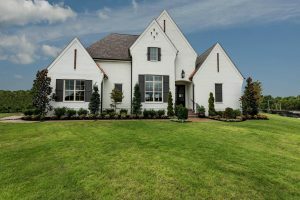 The Garners also own Magnolia Homes, renowned in the Memphis region as an exceptional new home builder with meticulous attention to detail and superior communication. Our connection with Magnolia Homes—and, more importantly, the highly regarded owners, Karen Garner and Reggie Garner Jr.—also connects us with a tried-and-true network of the best sub-contractors in the area. So, if you need home repairs or updates to make your home marketable, we can get them done quickly, affordably, and right. In addition, we hire a professional photographer to take high quality photos—not snapshots—of the home you’re selling. And we’re BIG on using social media marketing to get the word out about your home. At Oak Grove Realty, we believe you should never have to chase down your agent for an update. We’ll keep you apprised of every detail—while your home is on the market and until the closing is complete! Reggie and his crews did a fantastic job creating a wonderful retreat for our family. The project was done on time, on budget, and it turned out better than we could have imagined. Karen and Reggie are such a pleasure to work with; they make you feel so comfortable with your new home purchase. They are always there to answer any questions and explain the building process so well. Clark and I want to thank you for our BEAUTIFUL home! It was a pleasure working with you and your staff. Your attention to detail and your SUPERB customer service set you high above all other builders. Everything was perfect with our building process. The team from beginning to end was excellent. Everyone was extremely helpful, quick to return emails or calls, always with encouraging words. Thank you so much for how you’ve taken care of everything during this process. The care you show for your homes is obvious, and we are excited to be a part of this community. Reggie, I wanted to let you and your mom know we appreciate all of your hard work on our new home. We love it! Thank you again for all your work and attention to us. For all of your real estate needs, Oak Grove Realty will give you the focused, personal attention and the top-notch customer service you deserve. We pride ourselves on effort, communication, and results! Contact us to let us know how we can help you today. Get fast answers from our resident expert, Mary Brown. Oak Grove Realty gives you the focused, personal attention and our top-notch customer service you deserve. We pride ourselves on effort, results, and communication!